Sufganiyot bursting with dulce de leche and pumpkin cream. Savory babkas swirled with roasted poblano peppers and crema. Mexican-inspired Jewish pastries from a new, online-only bakery are bringing exciting new flavors to Chicago’s Jewish food scene and Chicagoans of all backgrounds are already addicted. 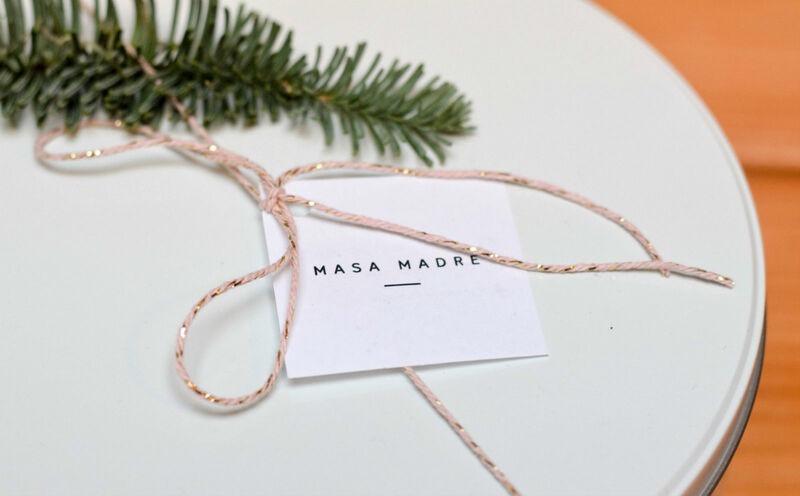 Founded by two Mexico City natives, Masa Madre offers a limited selection of made-to-order treats, many of which draw on co-founder Tamar Fasja Unikel’s Jewish heritage. Among Masa Madre’s offerings are several flavors of babka, challahs, and a rotating selection of seasonal treats that change with the Mexican, American, and Jewish calendars — from Pan de Muerto for the Mexican Day of the Dead to Thanksgiving pecan pies to rugelach and Hanukkah sufganiyot. “Mexicans, Americans, and Jewish people are all very excited because there is something that they can relate to, but still try something new,” says Unikel. Not only do Unikel and her partner Elena Vázquez Felgueres make everything by hand, they put their hearts and their heritage into every one of their unique creations. Both women have day jobs — Felgueres teaches yoga and Unikel teaches kids’ cooking classes as well as maintains a food blog called Ssugarpill — but they get up early and stay up late to bake for their customers. The longtime friends met at university in Mexico City when they were both studying fashion design, but Elena soon switched gears to go to culinary school and then cooked in restaurants in Spain and Mexico. Unikel worked in fashion for a time but eventually moved to Chicago where her husband was pursuing a Ph.D in Biblical studies. From the beginning, Unikel and Felgueres knew they wanted Masa Madre’s treats to mix Mexican and Jewish cuisine. “We’re both Mexican; we’re not both Jewish,” says Unikel. “Elena has shown me the recipes that she grew up with and I [showed her] mine. When I tell her about a holiday or a Jewish thing I want to do, she is quick to understand it.” Felgueres’s professional training and extensive work experience in the pastry field has helped as well. “She has a lot more experience in baking than I do. And she brings a lot of the Mexican flavors,” says Unikel about her partner. Mixing Mexican flavors into traditional Jewish dishes, at least on the savory side, has been happening in Mexico for centuries. But not in dessert. “This isn’t something that is happening in Mexico that much,” Unikel notes. Among Masa Madre’s diverse clientele, Jewish Latinos, in particular, “have been very excited to see the mix of the two [cuisines].” Even Unikel was surprised to learn how many Jews from Latin America, or with Latin American roots, are in Chicago. The bakers were also influenced by their shared Chicago neighborhood, Pilsen. “It’s an amazing neighborhood,” Unikel raves. “It’s mostly Mexican. The interesting thing is that it was started as a Polish neighborhood. So I feel like what we are doing is a mix of those two: an Eastern European and a Mexican thing.” The neighborhood has embraced Masa Madre in return. “So far, [the residents of Pilsen] have been very receptive,” Unikel notes gratefully. Unikel is keeping mum on what unique treats Masa Madre will offer for spring holidays. “We think about [holiday items] about a week in advance,” laughs Unikel. “We are going one step at a time.” There is one secret that Unikel is willing to share: She and her husband are expecting their first child in June. But she plans to keep baking. “I don’t know what is going to be happening with the business then,” says Unikel. 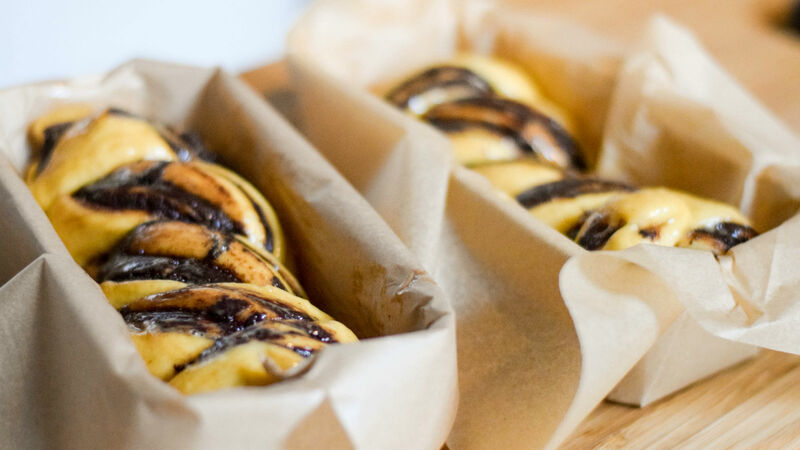 “But I am happy I will be able to keep working from home.” Chicago-area babka lovers are counting on it. When Mexican and Jewish foods meet, something truly delicious emerges. Smoked meat and hand-rolled bagels are replacing some of the old-school delis of the midwest.